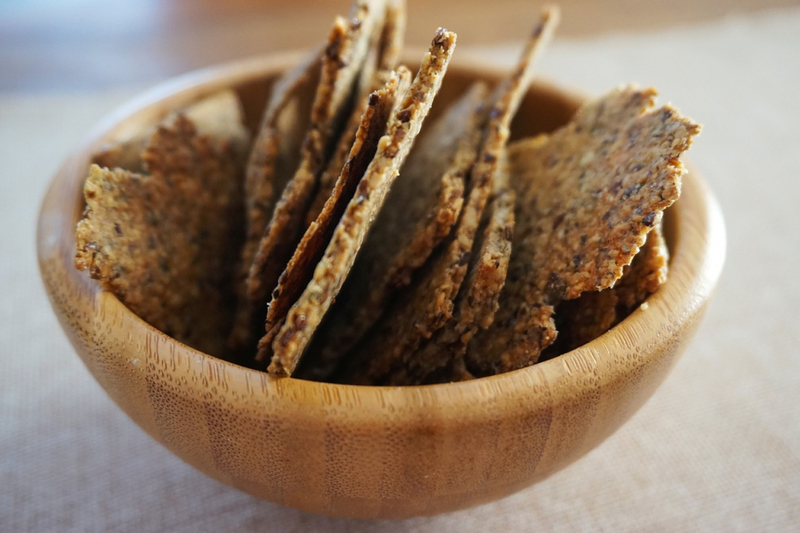 Read Together: The events at Kadesh marked a crucial point in Moses’ life. First, Moses’ sister Miriam died there. Next came a day that would change Moses’ future. Once again, the people were complaining about their lack of water, forgetting how God had provided for their needs again and again. All they needed to do was to turn to God and ask Him for His help. Moses went to God and asked Him to provide the water they needed. God patiently gave Moses and Aaron instructions, telling them exactly how to provide for the people. He told Moses to speak to the rock and water would flow from it. Moses, however, lost his temper. He was so angry at the Israelites that he hit the rock with his rod. In fact, he hit it twice! God made water start miraculously pouring out of the rock, providing for the needs of the thirsty people. But He was very displeased with Moses. According to God, Moses and Aaron did not show honor and respect to Him. 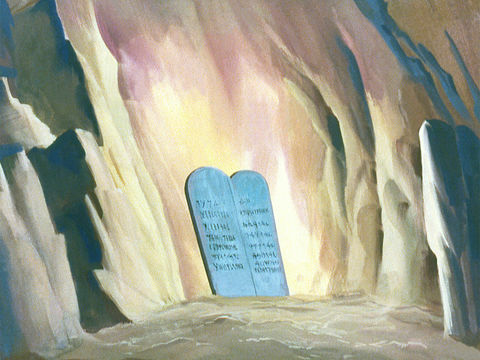 Moses had allowed his anger to guide his actions instead of trusting God’s hand and obeying Him as He had instructed . 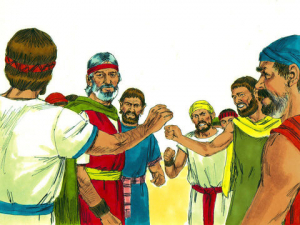 God does not play favorites, and this act of disobedience on the part of Moses and Aaron in front of all the people was just as wrong as the disobedience shown by others. Because they disobeyed God, Moses and Aaron were not allowed to enter the Promised Land. 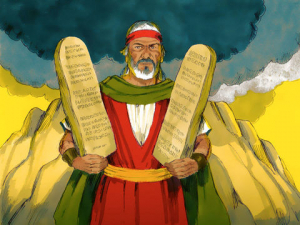 However, before he died, Moses reminded the people of Israel to never forget the laws of their God. 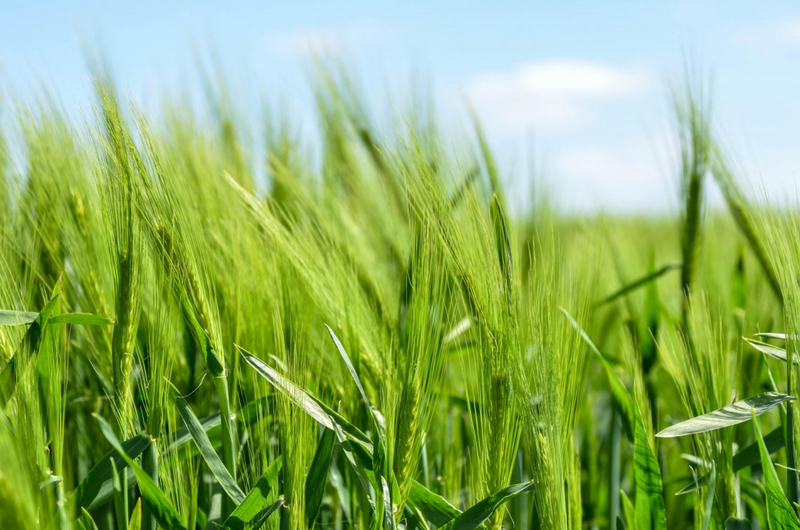 He encouraged them, saying that if they obeyed, God would bless their families, give rain in its season, increase their crops, increase their livestock, protect them from their enemies, and give them peace. However, if they disobeyed, they would be cursed. The weather would be harsh, the earth would not yield its crops, disease would cling to the people, their enemies would pursue them and overtake them, and they would eventually become slaves again. God gave Israel a clear choice between living the way that brings life and peace, or the way that brings curses and death. He gives us the same choice. 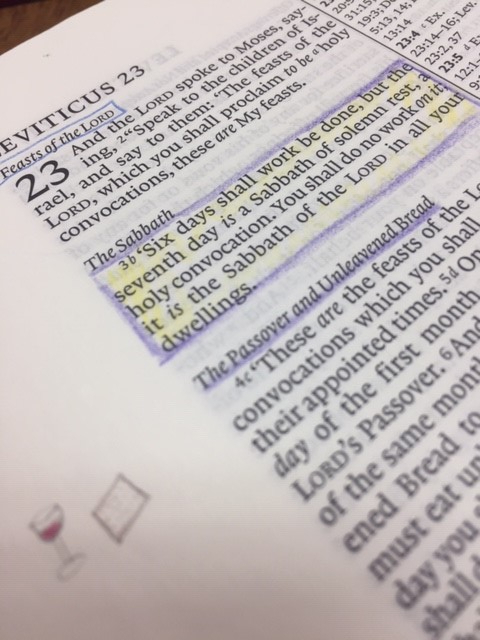 Read Together: Numbers 20:1–13, 23–29; 27:12–14; Deuteronomy 28:1–37; 30:1–3, 15–20. Discuss with your child Moses’ and Aaron’s punishment for disobeying God. Was this an unfair punishment? Even though God punished Moses and Aaron for their disobedience, God forgave them. We know that Moses will have a high position in the Kingdom. Explain the fact that even though God forgives us, sin still has consequences. Explain to your child that there are only two ways to live, God’s way and man’s way. God’s way is the only way that brings true joy, peace, and happiness. This may be a good opportunity to discuss the difference between the world today (governed by man) and the Kingdom of God (governed by God). Point out to your child that even when we sin, God offers us forgiveness when we repent and turn to Him. Read Together: Israel did not bring a good report during their wandering in the wilderness. 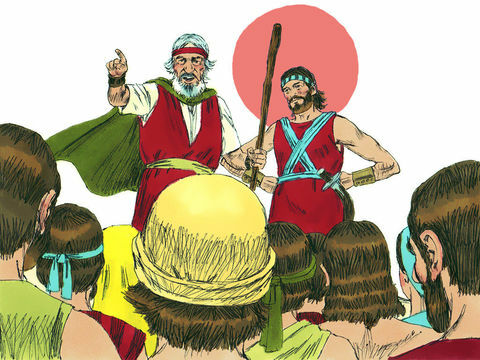 During this time, Korah, Dathan, Abiram, and On stirred up the people in rebellion, saying Moses and Aaron should no longer be the leaders of Israel. God had something to say about that! He caused the earth to open up and swallow these rebellious men, their families, and all their possessions. 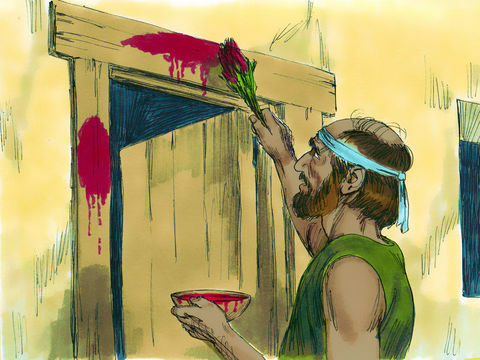 After the rebellion was put down, the Israelites complained that Moses had killed the people of God. They gathered against Moses and Aaron, but again God saved them and sent a plague that killed 14,700 more people. After a victory over the king of Arad, the people started complaining again, calling the manna worthless. This time God sent fiery serpents through the camp which killed many of the people. After Israel wandered for forty years, the time finally came for them to inherit the Promised Land. God lead Israel to defeat and take the lands of Sihon King of the Amorites, and Og King of Bashan. The Moabites heard of Israel’s conquests and were afraid. 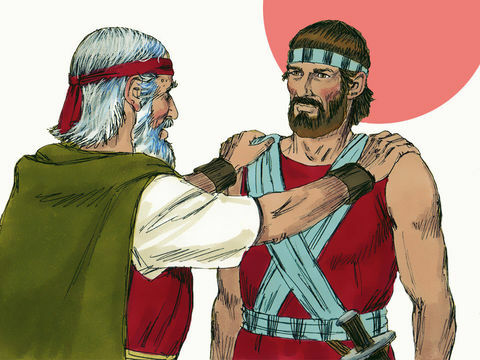 Balak, king of Moab, sent for Balaam to curse Israel, but God would not allow it, but allowed Balaam to bless them instead. However, the Israelites started worshipping idols and marrying foreign women. The Lord became angry and sent a plague that killed 24,000 people. Time and again Israel tested God. Israel failed to keep the covenant they had made with God, but their deeds were recorded for our benefit so that we can learn from their mistakes. 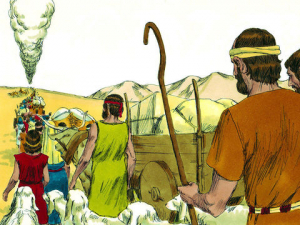 Remind your child that God promised Israel the land of the Canaanites, Amorites, Hittites, Perizzites, Jebusites, and the Hivites (Exodus 3:7–8). Their conquests were in partial fulfillment of God’s promise. Ask your child what lessons they think we can learn from Korah’s rebellion. Use this as an opportunity to talk about God’s government and how we are to respect those God has put in leadership positions. Read 1 Corinthians 10:6–11 with your child. Discuss how we can get caught up in the same sins that Israel committed. Help them come up with some examples.